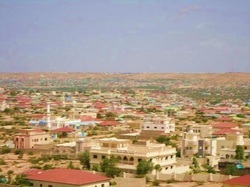 Borama is the capital city of Awdal region 120 Km West of Hargeisa the capital city . Region has one Regional hospital and several private hospitals , there is also the first medical school in Somali land ( Amoud Medical school ) . Hope Org as a part of improving health equity and access to quality free medical care starts medical project in the region for dealing with TYPE 1 Diabetic patients in the region by giving Free medical consultations , Follow up and Free drugs and lab services . Dr Mohamed Mahdi is the Regional representative of Hope Org and Dr Salah is the regional medical project coordinator Both doctors has good coordination and update with the Head quarter Team.